As global demand for whisky booms, one small Israeli distillery is getting into the game as the only place in the Holy Land to produce a single malt. 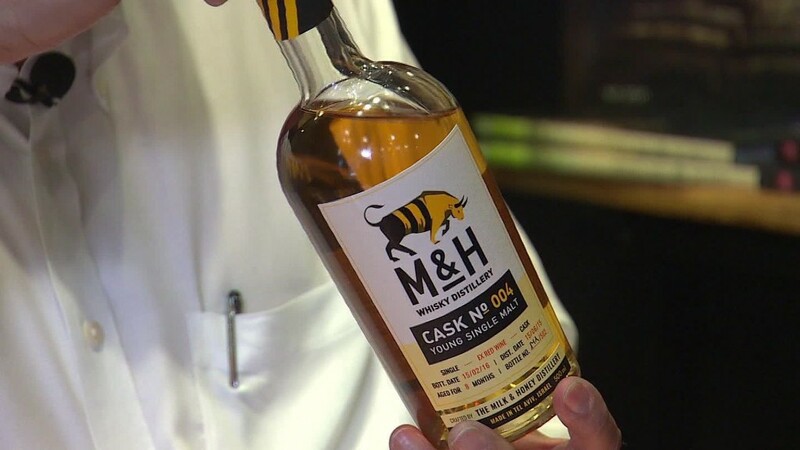 Tel Aviv's new Milk & Honey distillery is currently maturing its first batch of whisky, even though owner Gal Kalkshtein says there aren't enough drinkers in the country to support sales. Milk & Honey's first production batch of one million bottles will mostly be shipped overseas to the U.S., he said. "We want people who love the land and love whisky to buy our whisky," he told CNN. Worldwide demand for single malt whisky has soared in recent years, and high quality single-malt is in short supply. But Israelis haven't quite caught onto the trend yet. Milk & Honey CEO Nir Gilat said he believes there will be a market for the certified kosher whisky in the U.S. and then eventually in Israel. "We took a look at what's happening in the U.S. with the beer market, wine market, and whisky market ... and we saw that Israel follows the U.S," he said. Alcohol has been an integral part of the Holy Land culture for thousands of years. Palestinian and Israeli vintners are known for recreating the wine that Jesus drank, and there's a growing beer and microbrewery scene in Israel and the West Bank. Milk & Honey started up in 2013, raising just over $76,000 by crowdfunding on Indiegogo. The rest of the financing was provided by Kalkshtein, who's a serial tech entrepreneur. The company's first batch of whisky will be ready in 2018 after three years of maturing.